If you're considering heading to Yeagarup, you must start planning ages in advance. There's only 1 hotel within 10 kilometres. 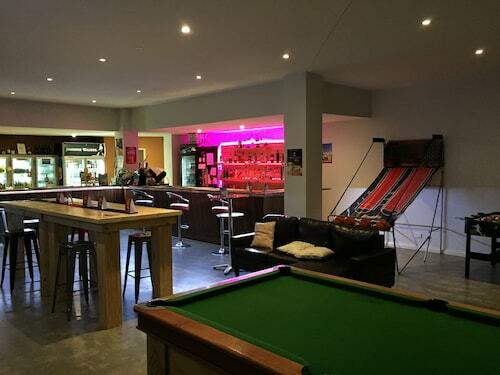 The Karri Valley Resort is your only option if you are keen on staying close to the action. For some alternatives, look at the Treenbrook Cottages and the Best Western Pemberton Hotel. They are located 15 kilometres and 19 kilometres respectively from the center. Wotif also recommends the Karri Forest Motel and the Marima Cottages. The first is 19 kilometres away from the center, while the second is 10 kilometres away. After you've explored Yeagarup for a while, be sure to set aside a few more days to discover Southwest's many other delights. Southwest is known for rural landscapes, beaches, cliffs and rolling hills, as well as common Southwest tourist attractions like the history museums. Adventurous types may also go mountain biking. If you want to check out some close by localities, think about Pemberton and Manjimup. Journey 20 kilometres to the northeast of Yeagarup and you'll locate Pemberton. Alternatively, Manjimup is 40 kilometres to the northeast. Pemberton accommodations include the Pemberton Old Picture Theatre Holiday Apartments and Gloucester Motel. Manjimup options are the Kingsley Motel & Restaurant and Manjimup Gateway Hotel. Located 100 kilometres away from Yeagarup is Brusselton Airport. Stay nearby at the Busselton Guest House or the Inn the Tuarts Guest Lodge Busselton. How Much is a Hotel Room in Yeagarup? Hotels in Yeagarup start at AU$106 per night. Prices and availability subject to change. Additional terms may apply.